Thursday: 1:30 PM - 5:30 PM, by appointment only. For an appointment, call 570-941-6112. Please note that The Clinic is closed on Thanksgiving, Christmas, and on University of Scranton Holidays. The Edward R. Leahy Jr. Center Clinic for the Uninsured is a free clinic offering primary care services to the uninsured residents of Lackawanna County. After the third missed appointment, The Leahy Clinic will cease services. A 24-hour notice of cancellation is preferred, but under extenuating circumstances please notify the clinic by 10AM on the day of the appointment. Showing up more than 30 minutes late without notification will result in a cancellation. For patients who are provided a medication with refills during a visit to the clinic, please bring the paper prescription to your local pharmacy (ie. Walmart, RiteAid, Price Chopper, etc.). Additional refills must be requested at your pharmacy in order for Leahy Clinic to review and authorize the refill. In order to release medical records to the patient or a third party, patients must be present in the clinic to sign for authorization. The Clinic provides free "non-emergency" health care to uninsured Lackawana County residents who may otherwise forego health care due to cost or seek care in hospital emergency rooms. The Clinic strives to provide high quality care in a welcoming, respectful, and compassionate environment. 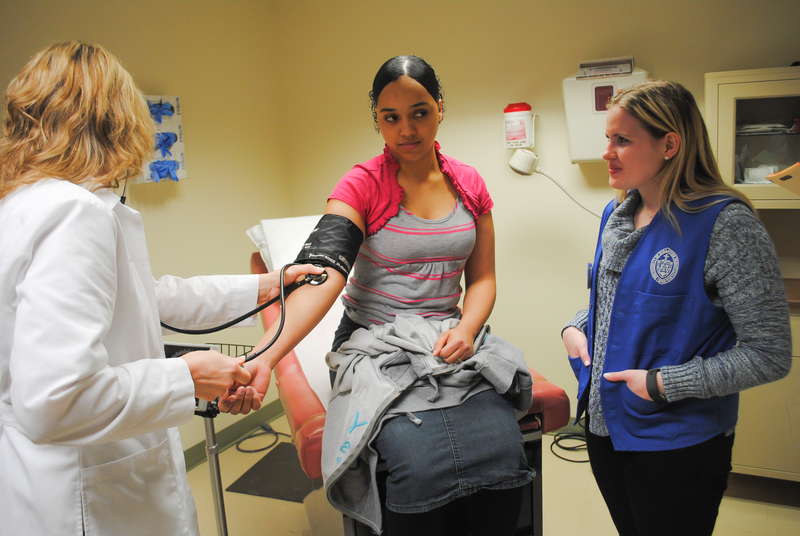 The Clinic offers oppportunities for teaching, research, learning, and service to University of Scranton faculty, students, and volunteers. The Clinic is committed to improving access to health care for the uninsured and promoting the University of Scranton's Jesuit tradition of educating "young men and women for and with others."